In 1955 Dorsey Gage Company was incorporated in New York State by its founder, Theodore F. Luty Sr., and his wife Helen Luty. The company began in Hyde Park, New York as a machine shop specializing in the manufacture of simple inspection gages and subcontract machining. From the very beginning, the company aim was to provide precision craftsmanship and customer satisfaction. As the company grew, it began to design and build equipment, which addressed the specific needs of its customers. This exposure in turn provided the basis for the continuing development of Dorsey Gage Company’s standard inspection products. In 1975 Dorsey purchased the instrument division of the Hamilton Watch Company of Lancaster, Pennsylvania. This acquisition added the well-known and respected Hamilton-Datcon dial indicator instruments to the Company’s products. During 1976 Dorsey relocated to the 35,000 square foot building at 253 Mansion Street in the City of Poughkeepsie, New York. In 1986 Dorsey Gage acquired Pexit, an English company known throughout Europe and Asia for their high quality, precision optical comparators. The design and facilities of Pexit were relocated to Poughkeepsie, New York, where it became the Optical Metrology Division of Dorsey Gage. Since its inception, the Optical Metrology Division has adapted the Dorsey philosophy of providing a top quality inspection instrument that exactly matches the customers’ requirements. Throughout this entire development of the Dorsey family of inspection products, the company also continued the sale of their craftsman services. These services included; instrumentation, contract machining, inspection, automation and the manufacture of special tooling and equipment. While catering to a variety of companies, their most prominent customer was IBM Corporation; the area’s largest. It was through these efforts that Dorsey Gage Company became involved in a project known as the electrostatic chuck program. On March 1, 2001, Dorsey Gage Company was sold. Prior to the closing the shareholders spun off the Metrology Division of the Company to the division’s management. The new company, Dorsey Metrology International, consists of all the employees and assets of the former Metrology Division and continues the manufacture and distribution of inspection instruments, gages and optical comparators. Following Brown & Sharpe’s closure of the Standard Gage plant also in Poughkeepsie New York, Dorsey Metrology International announced their intention to manufacture and support many of the products that were previously manufactured by Standard Gage prior to the plant closure. On April 18, 2002 Dorsey acquired much of Standard Gage’s specialized tooling and machinery at auction and subsequently hired key former Standard Gage employees to continue manufacturing many of the core products. Key products include the Standard style of bore and snap gages that have been the long established industry standard. 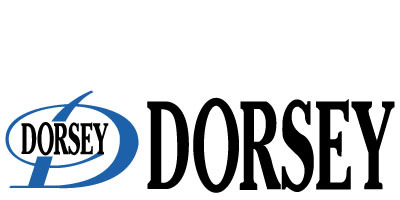 It is Dorsey’s intention to provide Standard’s customers with the same high quality replacement gages, interchangeable replacement parts, modifications and specials to meet their current and future demands. The precision gage-making legacy of the Dorsey Gage Company, founded in 1955 by Theodore Luty, Sr., continues in this millennium as Dorsey Metrology International. At Dorsey Metrology International, we are committed to excellence in every aspect of our organization, from outstanding customer relations to the highest quality product service and support. Service to you, our customer, is Dorsey Metrology International’s aim and purpose. The privilege of allowing us to service you and win your good will is our most effective advertisement and outstanding achievement. Let Dorsey be your Precision Problem Solver. While our competition is focusing on electronic and optical gimmickry to compensate their instruments, we are tightening manufacturing tolerances to maintain uncompensated absolute inherent accuracy. While our competition is importing parts and sub-assemblies, we have pumped money into our manufacturing areas and we have developed new tooling and solutions to enhance our internal manufacturing. In Precision Measurement Instruments: Dorsey is proud to offer an unparalleled variety of hand-held and bench-top precision dimensional inspection products. As you review our catalogs you will see immediately that our assortment of measuring instruments is quite well rounded, with many application alternatives and include unique items not available elsewhere. In addition, we modify catalog items to meet customer’s specific requirements. Special Projects: In addition to providing our catalog items, our company is ready to be of service by suggesting gages for any application, whether standard or special. As an organization we value our reputation as problem solvers. To take advantage of our service simply forward a part print with the dimensions you wish to check circled. We will return a quotation listing gages we suggest, complete with approach sketches of any special or semi-special applications. As we look to the future, we will not forget the lessons of our past and we will continue to maintain our high quality standards. We will continuously improve our products to help our company and our customers remain competitive and successful. The new millennium looks very promising indeed for Dorsey Metrology International.